First test drive to shake down any issues. The steering wheel is Black but the steering column hand brake handle are chrome plated as well the pedal box. 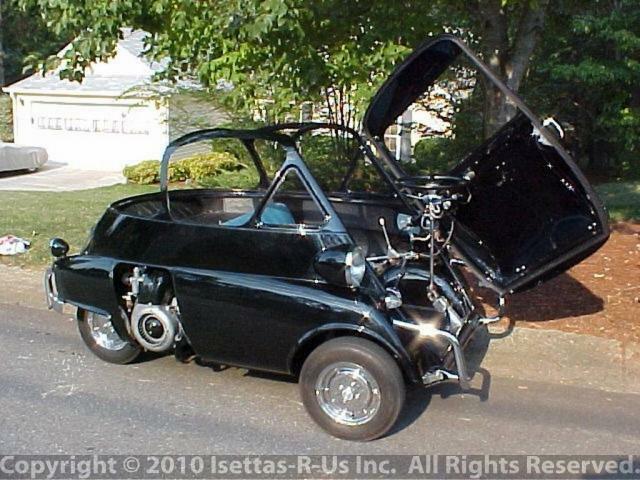 The Blue seat came out of our parts cars so that I can drive the Isetta around the bloc.